Mexico really makes you go crazy with its multitude of diversity settings and opportunities. Situated on the tail end of the North American continent, Mexico is a fascinating country with astonishing variety in different ecological and commercial areas. Apart from the coastal shores of the Pacific Ocean and Gulf of Mexico, the country is surrounded by United States, Belize and Guatemala. 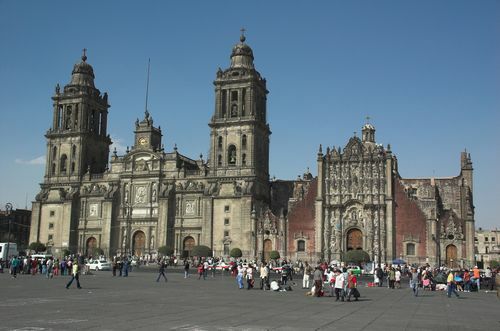 Mexico City is the capital of Mexico, with Guadalajara ranking as the second largest city in the country. 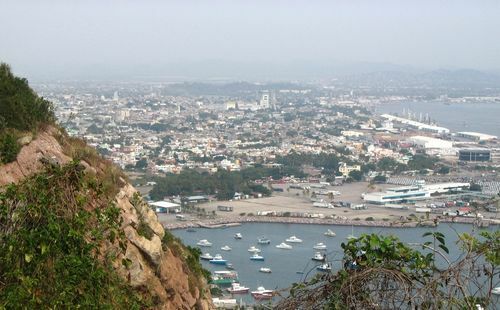 Other important cities are Ciudad Juarez, Mazatlan, Mexicali, Monterrey, Puebla Merida, San Luis Potosi, Tampico, Torreon and Veracruz. The terrain of Mexico is liberal enough to accommodate almost all features of Mother Nature. The central part of the country is a tableland that is closely guarded by two mountain ranges in the east and the west. On the other hand the vast coastal borders are complemented by volcanic areas that cross Mexico from the Atlantic to the Pacific. 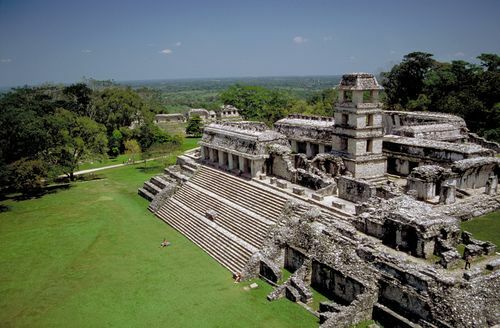 Amidst these landscapes one can find the ancient ruins of the Olmecs, Maya, and Aztec tribes and the remnants of Spanish era. Till today, the Spanish flavour is so strong in Mexican air that one can easily assume the country as a rip off from the mainland of Spain. In fact, Mexico is the most populous Spanish-speaking country in the world. The Mexican excitement expands over to the mesmerising desert landscapes, snow-capped volcanoes, modern cities and most importantly, the golden beaches. The magical combination of sun and sand in the Mexican regions of Cancun, Acapulco, Mazatlan, and Puerto Vallarta rank them among the world's best beaches. With such natural splendour and a sub tropical climatic condition, Mexico has emerged as a revered tourism destination for globetrotters. Mexico officially achieved its independence from the Spanish rulers on September 16, 1810 but still continues to bear the legacy of multicultural backdrop. Out of the estimated population of about 106.5 million, the mixed race of native Amerindian and Spanish, better known as the Mestizos, dominate the demography of the country. Argentines, Brazilians, Cubans, Nicaraguans, Colombians, Venezuelans and people of Asian origin build up the minority community of the country. Most of the population adhere to Roman Catholicism with little existence of Aztec or Mayan rituals. Spanish is the official language of Mexico but alongside English, local dialects of Amerindian, Nahuatl, and Maya are also in regular use. Mexico is a country with discreet geographical features. The country borders take the shape of the tail of a mermaid as the vast width of northern Mexico shrinks to less than 200 km at one point down south before regaining ground at the end of the peninsula. Overall, Mexico is one-fifth the size of United States of America and is bordered by the same on the north side. To the south lie the Central American countries of Guatemala and Belize, while the Gulf of Mexico and the Caribbean Sea are off the east of the country with the Pacific Ocean on the west. The 800-mile (1,287-km) long narrow peninsula of Baja California extends into the Pacific and forms the Gulf of California. Mexico’s other peninsula, the Yucatán on the western frontiers, forms the Gulf of Mexico and the Bay of Campeche. 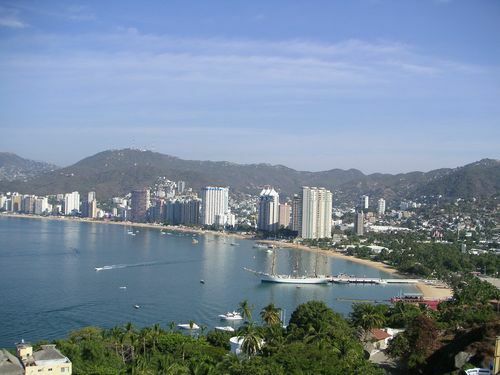 The mainland of Mexico comprises of nearly two million square miles of coastline, arid desert areas, dense rain forest, rolling mountains, fertile plains and distinct plateau. The central Mexican high plateau rises up to 2,440 m above sea level. The two main mountain ranges, the Sierra Madre Occidental and the Sierra Madre Oriental encompass the tabletop valley at the west and east and separate it from the seacoasts. The two ranges finally come together into the volcanically active central highlands near the capital of Mexico City. The northern half of the country by the American borderlands is dominated by barren desert lands followed by an agriculturally rich plain that ends up into dense forests down south. The Río Bravo del Norte or Rio Grande and the Usumacinta are major rivers of Mexico along with the Grijalva, Balsas, Pánuco, and Yaqui. The climate of Mexico behaves proportionally to its difference in landscape. In general the climate varies from temperate to tropical as the Tropic of Cancer divides in the country atmosphere. The temperature remains moderate to hot all year round from 24°C and 28°C, with couple of degree’s variation from winter to summer. Although in the Northern desert areas and in Baja peninsula the temperature sometimes leaps above 100F, the Mexican summer is usually splattered with rainfalls. Mexico lies near to a geographical default line and within the hurricane belt and as a result remains susceptible to earthquakes and sea storms. Mexico suffered the same fate of European invasions and oppression of native tribes like most of the Latin American country. Thousands of years old dramatic past of the country is still evident amidst an overwhelming amount of physical remains of that era. Archaeological evidences suggest that the first Mexican inhabitant and tradition were the Olmec. 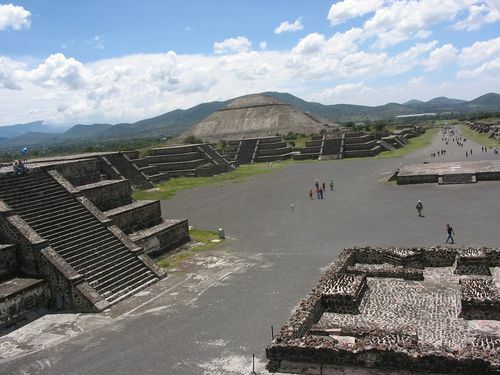 Subsequently, cultures of the Maya, Zapotec and Mixtec, Teotihuacan, Toltec and, finally, the Aztec tribes came into existence and together they made up the great Mesoamerican civilisations. The Aztecs were the most successful and advanced race that expanded their rule over many other people in Mexico. The region progressed immensely during this period with innovation and implementation of intensive agriculture, pottery, education and construction. The bright days of Mexico were doomed on the day a Spanish expedition under Hernan Cortes landed at the shores of Tabasco. By 1521 the Spaniards had defeated the Aztecs and reigned over Mexico as part of the viceroyalty of New Spain for the next 300 years. During this period, rebellion of smaller proportion by the native tribes went on in different parts of Mexico. The Spanish rulers oppressed them brutally and indulged in slavery but in later days replaced the Mexican slaves with African people and tried to mix up with Mexican culture through inter-race marriages. The revolution of Mexico finally succeeded on September 16, 1810 and the first Mexican Empire was established in 1821. However, from this time on to the end half of nineteenth century, Mexico witnessed a political turmoil with authority shifting hands from two emperors, several dictators, and enough presidents and provisional executives. In between this period in 1836, a war broke out within United States of America and Mexico over the ownership of Texas, which Mexico eventually lost to the States. In subsequent years, it lost the area that is now California, Nevada, and Utah, most of Arizona and New Mexico, and parts of Wyoming and Colorado under the Treaty of Guadalupe Hidalgo. In 1863, the French army conquered the Mexico City. This brought an end to the reign of Indian patriot Benito Juárez who was replaced by Emperor Maximilian of Austria but it was short lived and Juárez was back to power in 1867. Then the more or less peaceful days came under President Porfirio Diaz. This was followed by the dreaded days of civil wars that prolonged from 1911 to 1920. 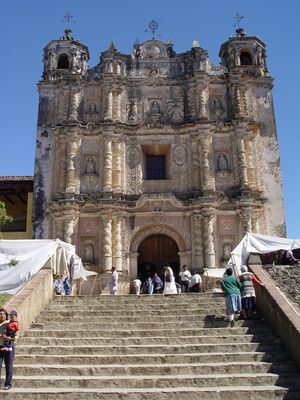 Through the first decades of twentieth century, Mexico has enjoyed a period of gradual agricultural, political, and social reforms that was marked by the reduction in Church power. From this period on, the revolutionary and reformist party of Partido Revolucionario Institucional(PRI) controlled the power gear of Mexico till July 2000 when the National Action Party (PAN) came into power. Mexico has now emerged as an important player in world politics on strength of its oil production. Mexico’s economy is a wonderful example of a survival and subsequent prosperity against numerous domestic odds and external shocks. After periods of dictatorship and political turmoil, the financial realm of the country recovered capitalising on oil production. Economic policies gradually opened up for increased amount of foreign trade and investment and privatisation. Overall, it adhered to a unique combination of modern industrialisation and traditional form of agriculture. The smooth economic ride faced its first stumbling block in 1994-95 that triggered the worst recession in over half a century. However, Mexican financial structure gathered pieces fast and gradually managed to attain an impressive GDP that ranked twelfth in the world. The sectors that have expanded healthily in recent years are seaports, railroads, telecommunications, electricity generation, natural gas distribution and airports. Today, Mexico has 12 free trade agreements with over 40 countries including, Guatemala, Honduras, El Salvador, the European Free Trade Area, and Japan. Thus foreign trade has prospered never before but still Mexico is dependent on USA for 85% of its trade revenues. Moreover, the poverty level in Mexico has decreased from 24.2% to 17.6%, Unequal distribution of wealth and unemployment specifically in rural and tribal areas continue to plague the economy. Mexico upholds a strong political set up to prevent any repetition of dictatorship experienced in the past. Today it is a federal republic that is supported by a constructive constitution. The branches of executive, legislative, and judicial are distinctly segregated to avoid any dispute or overlapping of authority. The Mexican constitution was adopted in 1917 and continues to be the foremost authority in the country. The powerful legislature of Mexico is symbolised by the bicameral National Congress or Congreso de la Union. This Congress comprises of a Senate or Camara de Senadores that accommodates 128 members. Out of the total members, 96 of them are elected by popular vote to serve six-year terms and the rest 32 are allocated on the basis of each party's popular vote. The other house is the Federal Chamber of Deputies or Camara Federal de Diputados with strength of 500 seats. The first 300 Deputies are directly elected by universal suffrage after every three year. The remaining 200 members are allocated on the basis of each party's popular vote for same period of time. The president of Mexico wields the executive power in the country along with his cabinet members whom he selects. The president is considered the chief of state and the head of government at the same time. He is elected through nationwide vote for six-year tenure. The Supreme Court of Justice or Suprema Corte de Justicia Nacional is the central body of Mexican judiciary that includes several federal and state courts. The president with consent of the Senate appoints the justices or ministros of Supreme Court.